We wanted to eat outside again, and although An Choi isn't exactly outdoors, there is something about the roughness of the space that makes me feel like I am eating outside in a dinghy back alleyway in Vietnam. Which, I suppose, is the best way to eat in Vietnam. 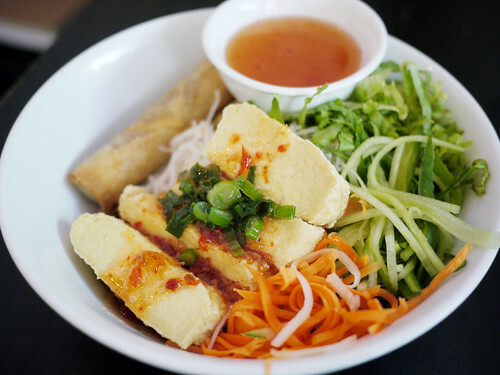 We don't get over here enough so each time it's a huge conundrum for me whether to go with the banh mi, a noodle dish or to finally try the pho. Since we're having a summer day, M. and I both opted for cold dishes.